Did Japan's hallowed cherry trees actually originate in South Korea? Did Japan’s hallowed cherry trees actually originate South Korea? “The beloved someiyoshino variety of cherry trees isn’t really from Japan, but actually from South Korea’s Jeju Island. Even though Japanese scholars recognize this, Japan is trying to make the world believe these cherry trees are from Japan” … or so reports a South Korean newspaper. Is there any truth to this? What’s it based on? 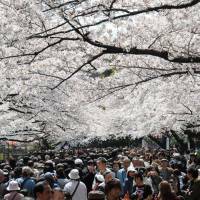 According to a story in the March 11 online edition of Daily Sports, published by South Korean daily JoongAng Ilbo, Washington, D.C., is home to the world’s most famous cherry festival, which is held every April. 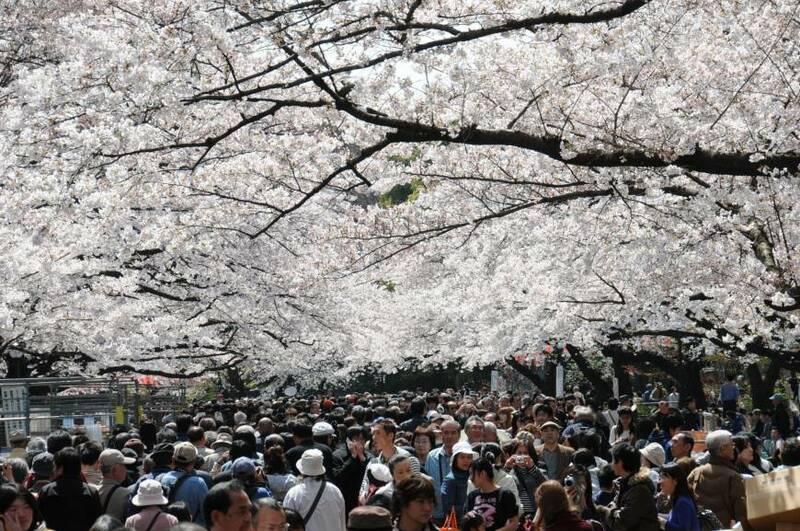 This year is the 101st edition of the festival, which began in 1912 when Japan gave 3,000 cherry trees to the U.S. The trees were almost cut down during World War II because of American’s anger over Japan’s attack on Pearl Harbor on Dec. 7, 1941. According to the paper, the exiled Korean statesman Syngman Rhee, who would eventually become South Korea’s first president, saved the trees by saying they originally came from Jeju, not Japan. He held a tree-planting event in Washington, D.C., in 1943 and explained that their place of origin was said to be Japan because Korea was under Japanese colonial rule at the time. “Japanese cherry trees are actually Jeju’s royal cherry trees. Japanese just took them and cultivated them,” Daily Sports reported. Dr. Takeshi Kinoshita, a Teikyo University professor who specializes in ethnobotany, questions on his website why major South Korean newspapers, with almost annual regularity, continue to report the same claims about someiyoshino trees originating on Jeju. A published author and member of the university’s faculty of pharmaceutical sciences, Kinoshita writes on his website that no scholars recognized someiyoshino trees originating on Jeju and this is apparently a distorted interpretation of the facts. He explains that someiyoshino trees are a species created by crossbreeding oshimazakura and edohigan cherry trees and oshimazakura aren’t native to Jeju. Also, someiyoshino was born out of cross pollination during Edo Period’s random gardening culture. The cherry species is reproduced not with seeds but via grafting, according to Kinoshita’s website. Additionally, Kinoshita points out, a team composed of members of a research institute under the U.S. Department of Agriculture, Seoul National University and other organizations conducted DNA tests in 2007 on someiyoshino trees in Tokyo and Washington, D.C., and wild cherry trees on Jeju. The team concluded that “the trees on Jeju Island are a unique species and are clearly different from someiyoshino trees, which are crossbred,” Kinoshita writes. The team, however, stressed cherry trees can easily crossbreed naturally and it needs more detailed research to conclude whether Jeju cherries are unique. Kinoshita lists the reasons why he thinks the theory of someiyoshino originating in South Korea regularly appear in the country’s mainstream media, even though there is scientific evidence proving otherwise. First, he writes, in prewar times, Japanese scholar Genichiro Koizumi of Kyoto Imperial University based the Korean origin theory on a misunderstanding, and yet South Korea continues to repeat it. Then there was the movement to cut down cherry trees [in South Korea] that gained steam when the clearly anti-Japanese Roh Moo-hyun administration was formed. Groups who wanted to protect the trees, including Japanese people, revived the Korean origin theory as a persuasion tactic. Kinoshita states on his website that since he would like as many people as possible to know these facts, he will relinquish his copyright and allow free usage of his research. This is an abridged translation of a story that was first published on March 17 on J-CAST News, a Tokyo-based news site established in 2004.